First impressions are lasting impressions and one can surely stand by the saying in case of the interiors as well as the exteriors of the household. You might overlook the outdoor when planning a house remodel, but the outdoors are the first thing witnessed by the guest, friend or onlooker when they visit your place. An outdoor can serve much more than an extension of your home, they can be the place to enjoy some alone time, read a book, have a cup of tea and breathe in the calm presence of nature. With Spring coming, Scandinavian design palette can be one of the most beautiful, minimal and functional inclusions to have in your place. 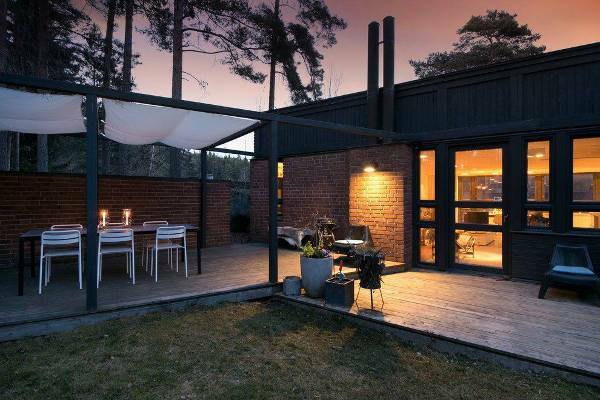 Look below for the best Scandinavian design ideas that will definitely spruce up your outdoors. With a simple and striking vibe, try and include a sleek wooden bench with a solid choice for a seat cushion. You can then blend the look with patterned pillow covers and a cosy throw. You can further make the ambience cosy by including neutral coloured pouffes that match well with the hardwood flooring of your deck. 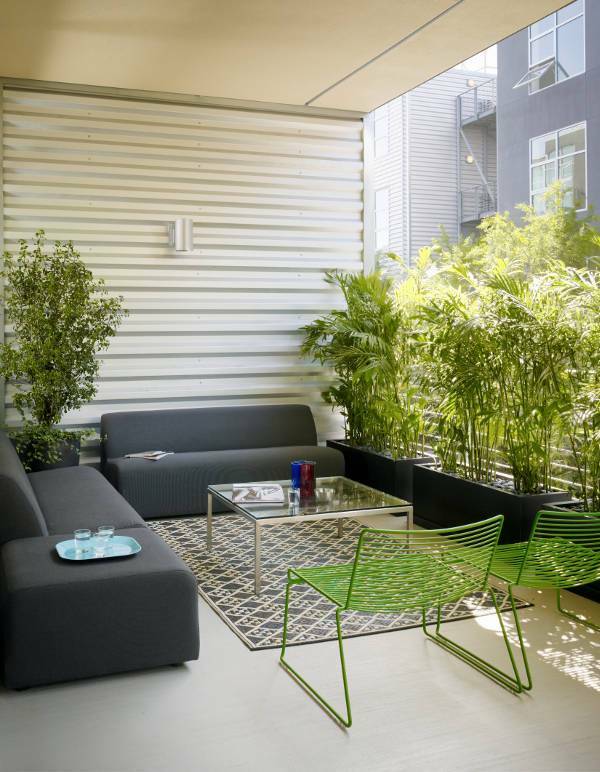 With carefully arranged planters and comfortable seating place, this neutral to a bright Scandinavian patio is one of the best styles to opt if you are looking for something simple with a pop of colour here and there. Make the garden the centre of attraction for your home and complement it with simple and casual seating space that matches well with your interiors as well as the surrounding environment. Try and light your outdoor space with the help of candle illuminated lamps. These lamps are available in a number of style options and can be easily found in the market. The lamps with their uncomplicated presence look equally good hung or when placed on the floor. If you are looking for simple chair arrangement for your outdoors, try and include a loveseat. It will provide ample amount of seating space for your guests while a woven design will give an airy feel and unobstructed view. 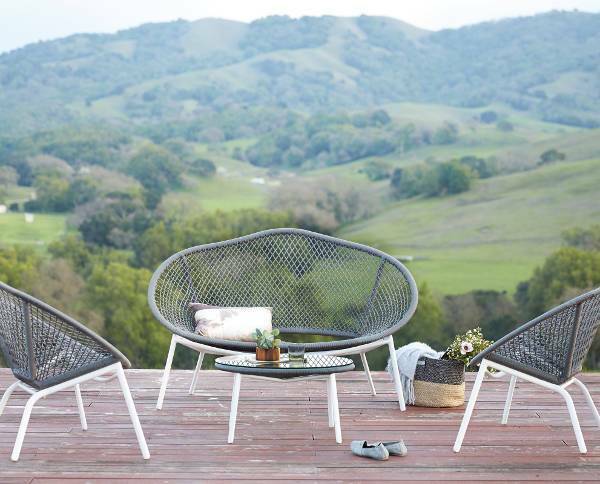 Stylish, smart and light, the seating is definitely one of the easy ways to decorate and furnish your outdoors. If you are someone who regularly entertains and has guests over quite often, then a simple table chair layout is perfect for your garden. 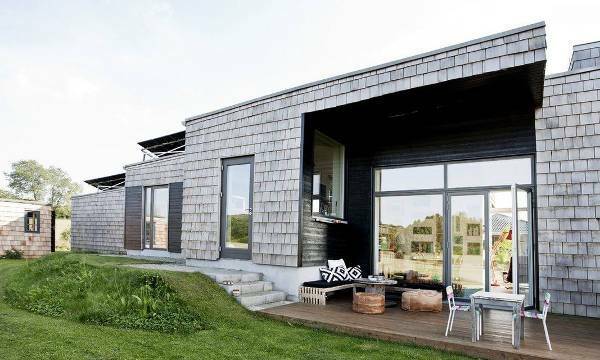 The rectangle built blends well with any style and shape of the house. You can go for a simple metal and wood table chair set. 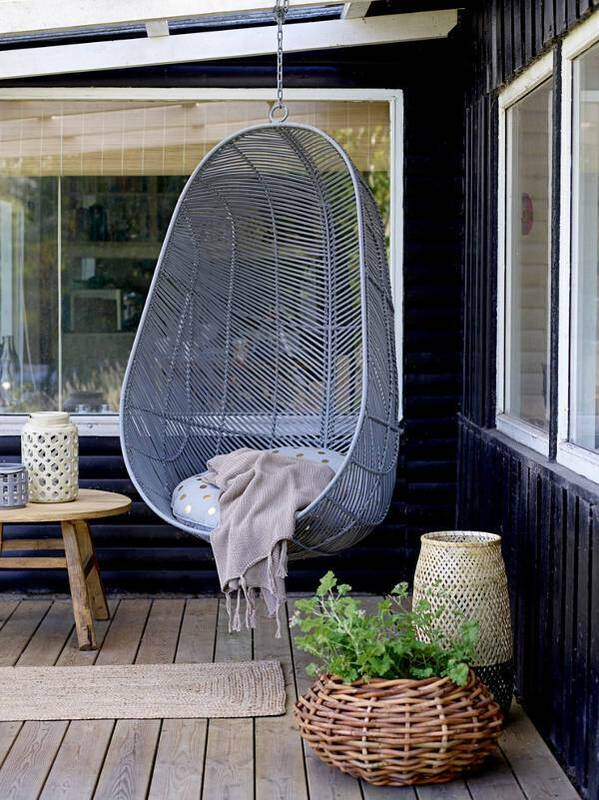 Bring an added zing to your outdoors with the help of a suspended cosy rattan swing. Opt for moderate to neutral shades and make your space look warm and welcoming. Don’t forget to add some comfortable cushions and pillows for letting you sit and enjoy with ease. 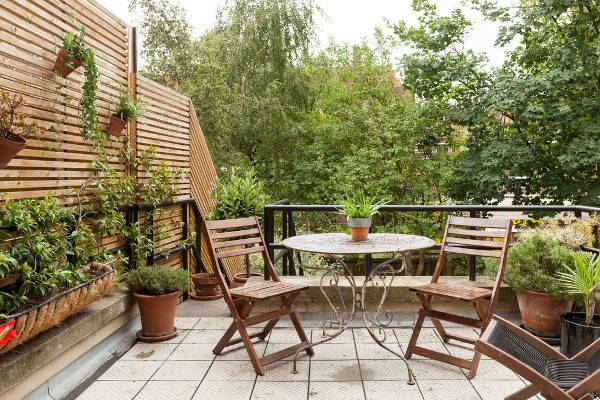 If you have room for a small balcony, try and add an all wooden look to space. Include a simple round table and a set of choice with plenty of floor and wall planters to make the appearance fresh and extraordinary. 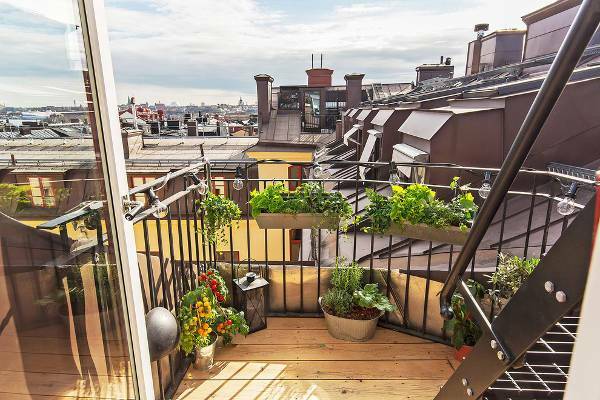 Hanging planter is another option to include in your Scandinavian looking balcony. Don’t forget to complement the planters with subtle and classic lamps. For some extra lighting, try and attach a rope of bulb lit wire to the railing for making the space glistening and bright. 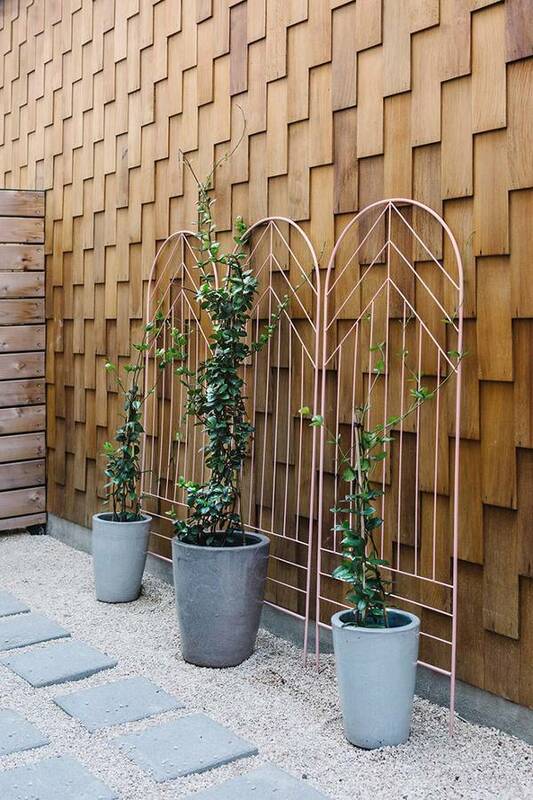 You can experiment with your outdoor space by including wrought iron frames that support your garden and also act as a fancy backdrop to the flowery and green planters. Don’t hesitate on making the space as unique and personal as you like. 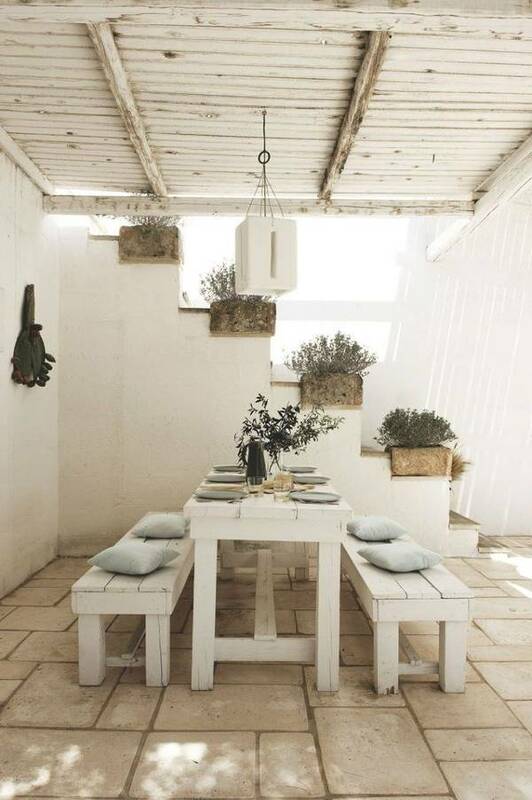 If you are someone who enjoys the simplicity and purity of white, a complete white outdoor space with low-key white bench and table and white planters are one of the best ways to give a serene touch to your space. If you are planning to remodel your deck, try and construct the space with plenty of window frames for making the look bright and airy. 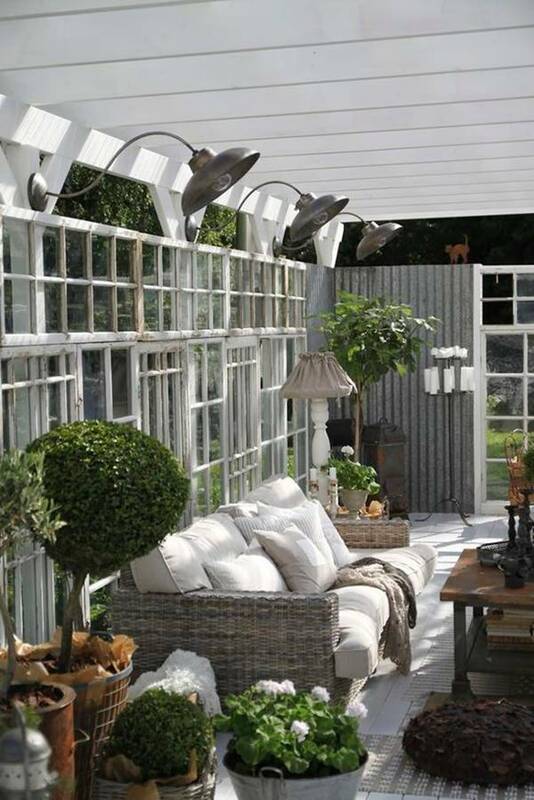 You can include plenty of plants and a comfortable seating space to add some warmth to the area. You can also include temporary decorative rustic lamps for giving an edge to your outdoor space. Take inspiration from the above mentioned Scandinavian designs and decorate your outdoors with the same enthusiasm and energy as indoors.